According to DCA blue print, you need to use CA certificate to replace both ESX and vCenter. I follow this help document to setup certificate for vCenter and ESX. I do encounter quite bit tricks which I took hours working on resolving issues. I would like to share it with everyone so you can save your time. First of all, download and install correct version of Openssl and VC++. You can find those applications at here. I did my test in Windows 2008 R2 SP1 server. I ran into issue with 64bit of Openssl with 32bit, I have no issue. So Please make sure you install the right version. You need to install Microsoft Visual C++ 2008 Redistributable Package (x86) before installing OpenSSL. To download this package, see http://www.microsoft.com/downloads/en/confirmation.aspx?familyId=9b2da534-3e03-4391-8a4d-074b9f2bc1bf&displayLang=en. You must also download and install Win32 OpenSSL v0.9.8r. To download this package, see http://www.slproweb.com/products/Win32OpenSSL.html. All what you need to do is to go to command window and run command as vmware suggest. This is the first problem I encounter. I was looking for openssl.cnf all over the place. Actually, this is windows version. so there is no cnf. It’s openssl.cfg in the bin folder. so what you need to do is to use this command. All right. Finally, we got request file rui.csr. It’s time to use your AD CA to generate cer file. 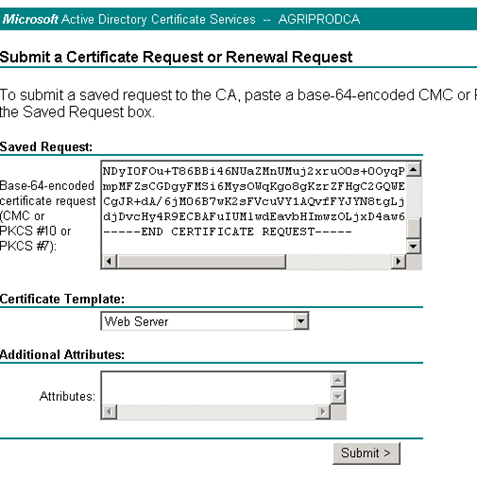 All what you need to do is to login in your CA with valid credential (you may want to login in with Enterprise Admin instead of domain admin depends on how you setup domain). 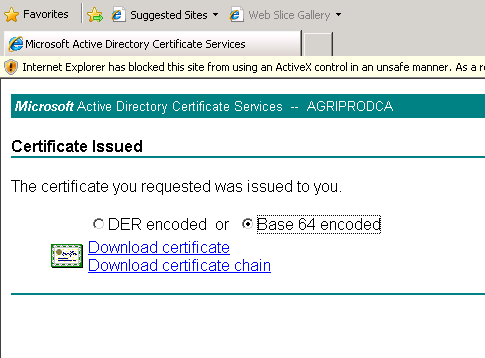 Click Submit a certificate request by using a base 64 encoded…. Make sure it’s for web server, then, submit. run this command to generate certificate. Once it’s done, you should have 4 files. This is very important step. For some reason, when you use vifp to upload file, it actually modify file a little bit. It happens on ESXi 4.1U1. so you need to go to /etc/vmware/ssl and open rui.crt file. If you see following file like this. That is wrong. There should be any “^M” in the crt. so you need to manually remove those characters. You can run following command to get rid of ^M. You need to add root certificate on vCenter and vClient. You shouldn’t encounter any certificate question. What I dont really understand, is what happens in an environment with more than 100 hosts. Should I change the vCenters cert first or the hosts? If I change it on the vCenter first, will the connection to all host interrupt? If not, may I still put hosts in maintenance mode and replace their certs one after another? If I reset the vpxd password, will the DB connectivity interrupt? How can I avoid any outage of hosts? Is it better in vSphere 5? You’ll need to disconnect and reconnect each host to the vCenter Server. 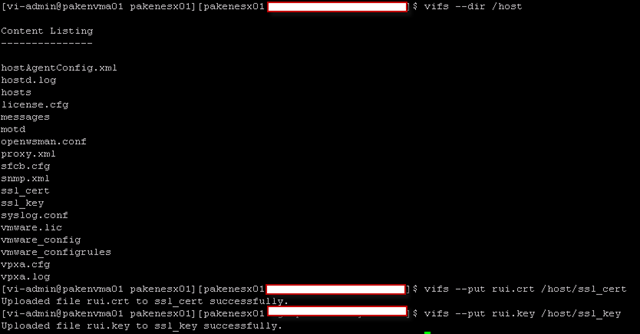 What I found that seemed to work was to disconnect the host from the VCS, ssh into the host, edit the files in /etc/vmware/ssl with a new key and cert we generated elsewhere, then used the console to restart the management agents. After that, reconnect the vCenter Server. Repeat for each host.